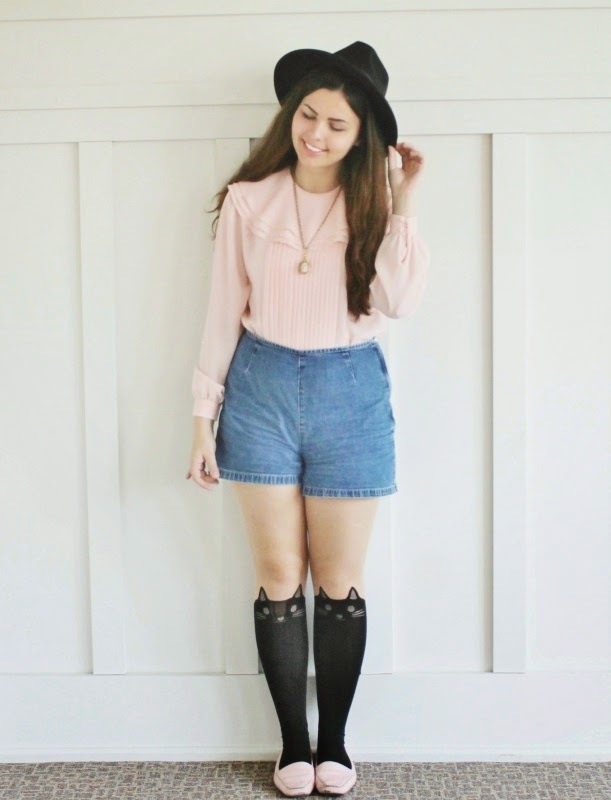 Pink Blouse, Denim Shorts, Loafers, Cameo: Thrifted. Lipstick in MAC'S Please Me with NYX buttergloss in Creme Brulee over it. I've had this outfit planned out for awhile and didn't even realize until I put it on that it was perfect to wear it today because...come on, you guys all know! It's the 10 year anniversary of Mean Girls today! And of course it falls on a Wednesday, so not wearing pink wasn't an option. It's been stormy and rainy here all the time (which I actually love), and was stubborn to want to take pictures of this outfit. So, I took them in my ever so handy and dandy dorm lounge. What a beaut it is, no? Also, Blogger totally killed the quality and saturation of these photos. What is up with it lately? I've seen a lot of other bloggers having concerns with posting and formatting and such. I've been having problems keeping my formatting--I have to keep editing the post and reformatting everything. Good to know I'm not the only one! Oh Lauren..you're soooo lovely. 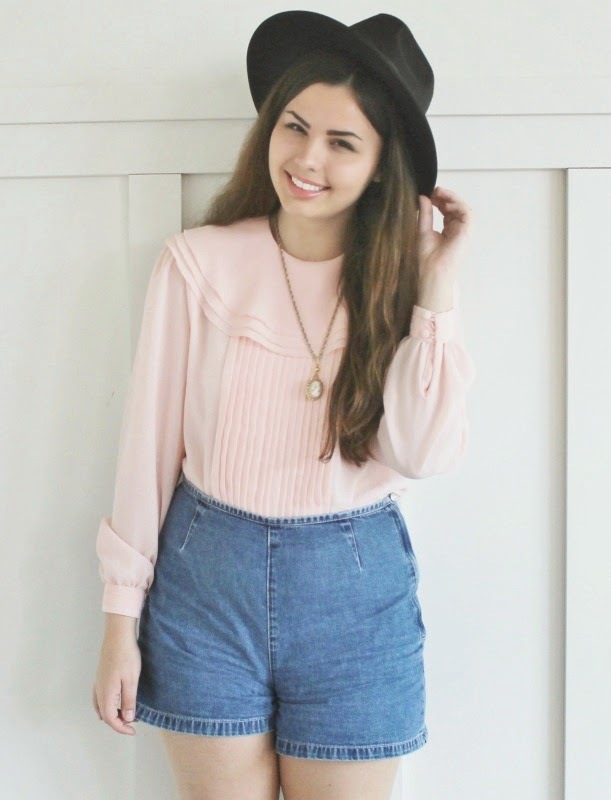 Love your outfit and great to find your blog site. 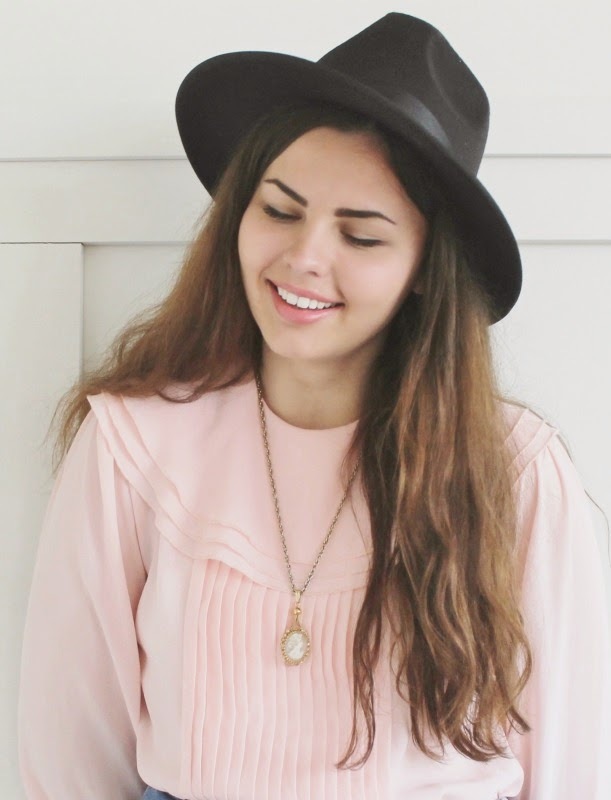 I a thrift junkie and were the same as I love to wear vintage piece and vintage inspired clothing as well. I always look for vintage related blogs and shops. 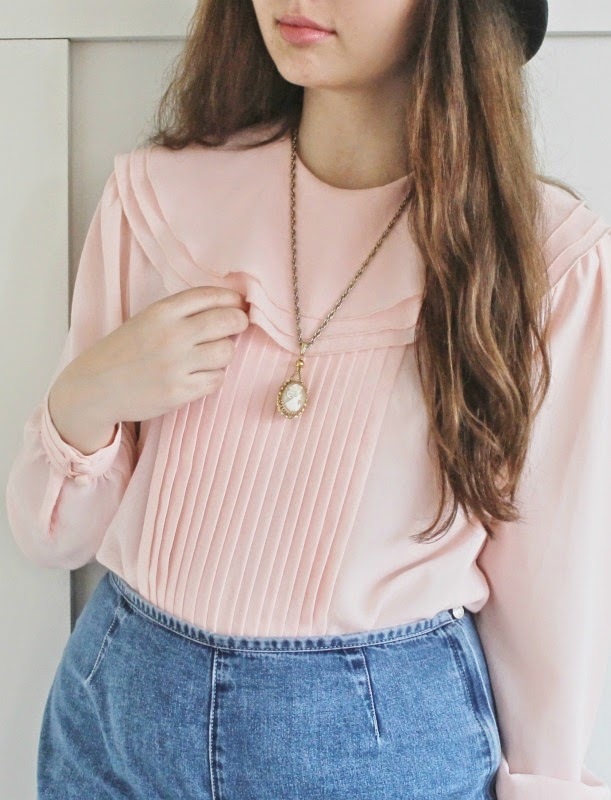 Just want to share my go to for vintage pieces. 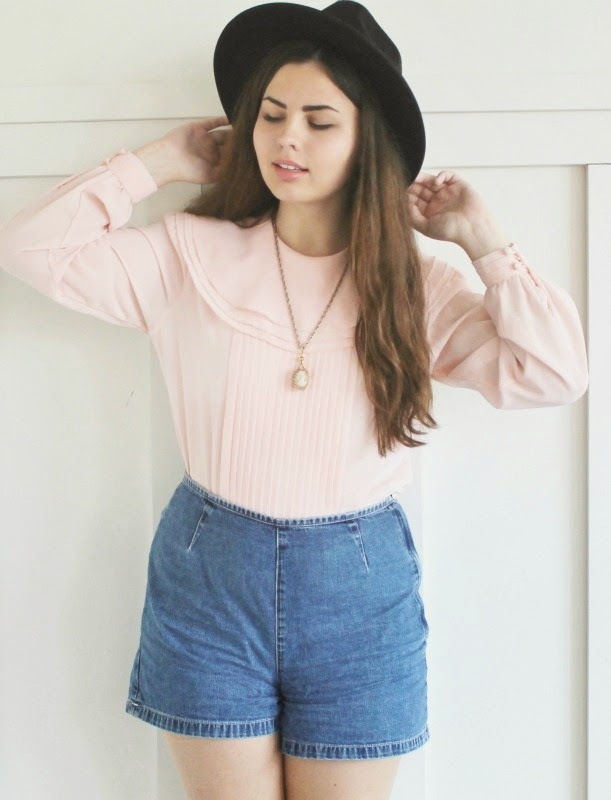 This top is so lovely on you. I love the color!